Community Chest Parade November 1938. 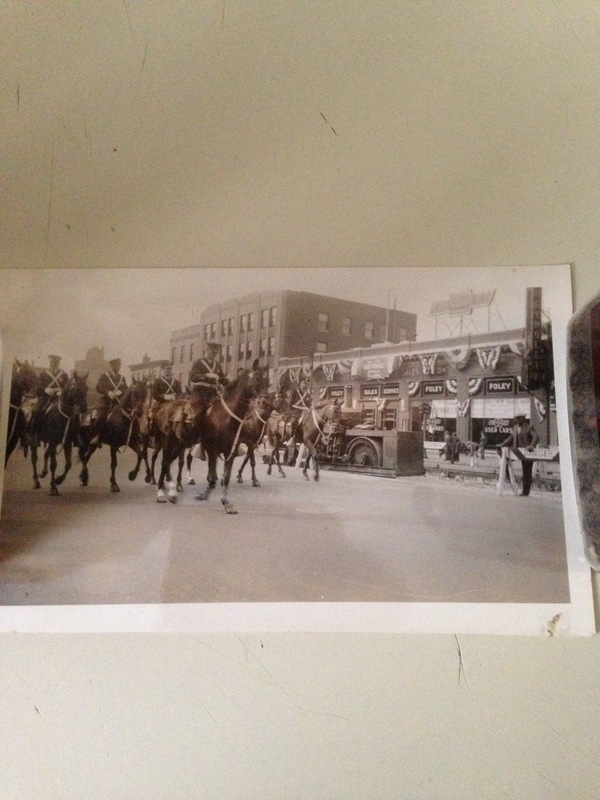 The photos included in this post were taken by an unknown photographer during a parade. They were probably taken near the vicinity of Broad and Walnut Streets looking west toward the block front between Court Street and West kinney Street. I have picked two of the photos to discuss. The first one shows a view of the Foley Chevrolet Dealership and the second shows a float that has five infants on it and say “Our Quints” or quintuplets, the significance of that will be explained. Hudson Motor Car Company and the Foley Chevrolet Motor Company will occupy for a term of years at rentals aggregating about one million dollars a large automobile showroom and service building, owned by the General Motors Corp. The structure is situated at 957-963 Broad Street, fronting 100 feet on that thoroughfare and extending 375 feet to Halsey Street with a 25 foot outlet on Court Street”. The site of the dealership is now a parking lot for a high rise apartment building on the southwest corner of Court Street. As for Foley Chevrolet, the company is now known as Foley Inc., headquartered in Piscataway, New Jersey and they sell construction equipment. 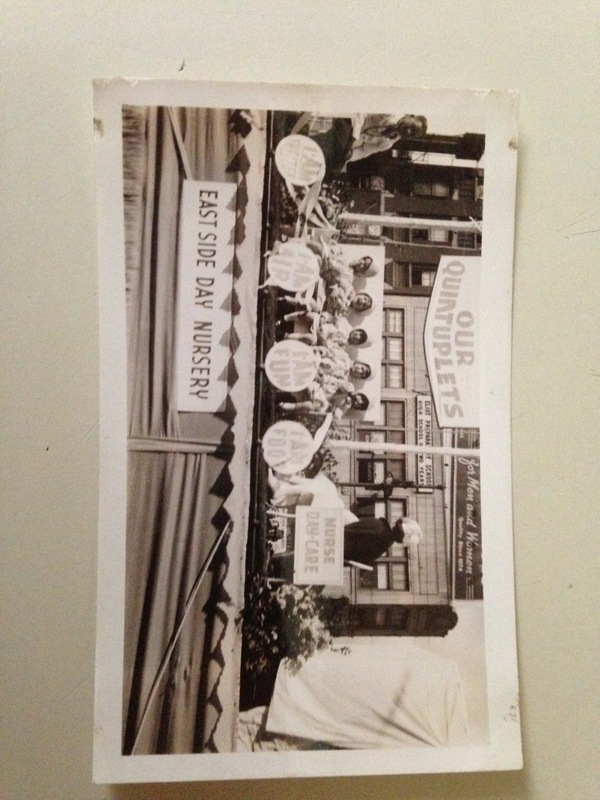 The second photo shows a parade float with five infants and says, “our quints” . This is a reference to the first set of quintuplets born in Canada in 1934 and known as the Dionne Quintuplets. The Dionne Quints were the first set of five babies to survive and they became a sensation. Their faces were everywhere and the publics interest was insatiable. As they came into adulthood the five Dionne girls revealed that their seemingly idyllic life was anything but that. In fact, they said that their experiences as children ruined their lives. In light of those later revelations the float in the Newark parade and the homage to the Dionne Quints, seems ironic.